There are crew spaces available for the Tall Ship Festival that will celebrate the Royal Australian Navy’s first entry into Sydney Harbour. Fancy a nautical holiday with a difference or simply want to learn how to sail a square-rigged tall ship? The Tall Ship Festivals is looking for around 1,000 land-lubbers to crew a flotilla of boats that will be taking part in centenary celebrations for the first entry of the Royal Australian Navy’s fleet into Sydney Harbour. The International Fleet Review will take place on October 5, including a moving line of vessels on Sydney Harbour accompanied by fly-pasts, naval displays and dragon boat races. 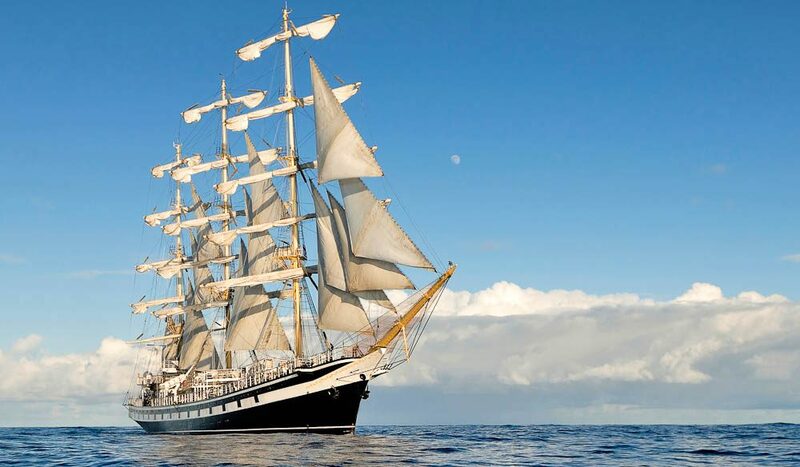 The tall ships, which are currently en route from all over the world, will dock in Fremantle, Adelaide, Melbourne and Hobart prior to reaching Sydney. No sailing experience is required and there is no age limit to be part of the crew between the various Australian ports. Time aboard varies from seven to 15 days. The fleet will depart Sydney on October 10, taking part in a race to Auckland. What kind of ship is the one pictured – a barque, brigantine, sloop, etc. “Tall ship” doesn’t tell us more than the boat has masts and sails.